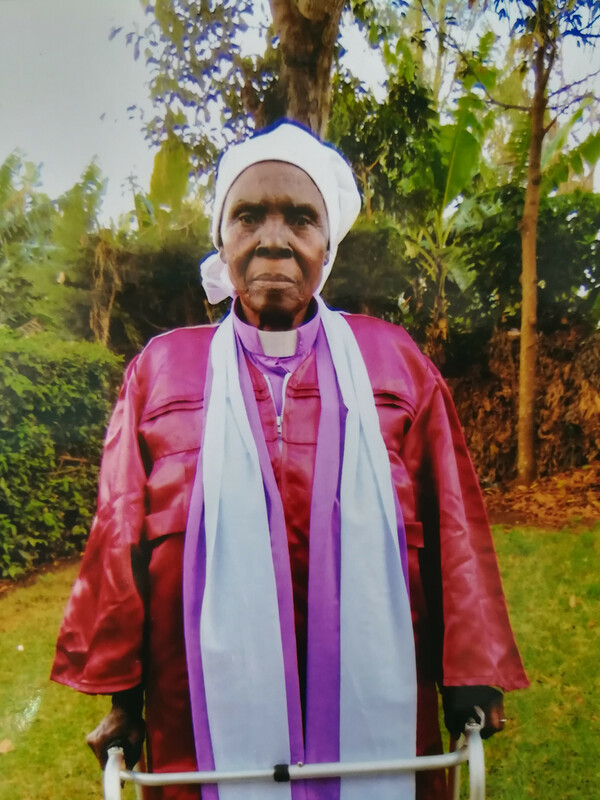 It is with humble acceptance of God’s will that we announce the passing on of our beloved mother Reverend/Lay Leader Sellah Nziwa Omusamia which occurred on Tuesday 10th April 2018. Wife of the late Mwalimu Pastor Mzee Manoah Anyasi Omusamia. Daughter of the late Mzee Odwodo Oluko and the late Martha Odwodo of Emuli Emukusa. Sister of Grace Komba, Ogina Odwodo, Patrick Makutsa, Andia, Abwaya, Ochembo, Waka, Amed & Nyandiko. Mother of W.W. Makate, Newton Omale, the late Ibrahim Munai, Dorcas Nandwa, Mary Onguko, Peter Omusamia, Mically Omusamia, Noami Makanda, Dorothy Omusamia, Deborah Njogu, Njeri Omusamia, Owen Omusamia, Dorah Yator. Mother-in-law of Penninah Makate, Pamela Omale, the late Jael Munai, Zilpah Omusamia, Mildred Omusamia, Maj. Gen. Samuel Nandwa, Zachaeus Onguko, Francis Makanda, Eng. Christopher Njogu & Kennedy Yator. Doting grandmother, great grandmother, niece, cousin, aunt and friend of many. 26/04/2018 for church service at Essunza Church of God (EA) Kenya. Funeral & Burial Service will be held at her home Ebutongoi Mwichio Village - Essunza Sub Location, Vihiga County on Saturday 28/04/2018 at 10:00 am. You will always be in our hearts as we live the rest of our days.